Super Cute Fishtail Monogram. Use it on your car windshield, the back window. Not a fan of your monogram on your car? Put this on the front of you new planner for the new year! Decorate a picture frame with your monogram! The possibilities are endless! Looking for a different size, please feel free to contact us and we will be happy to help you. 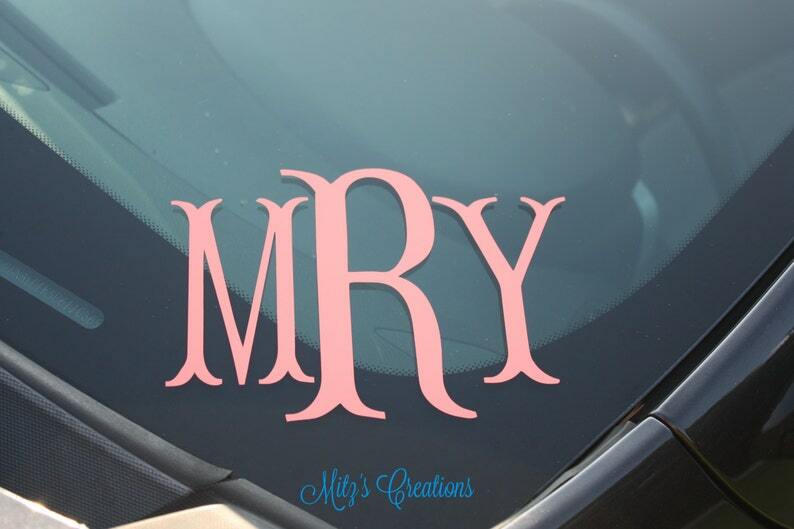 Circle Monogram Decal - Many Colors and Sizes Available - Pick Your Colors - Personalize to your liking!